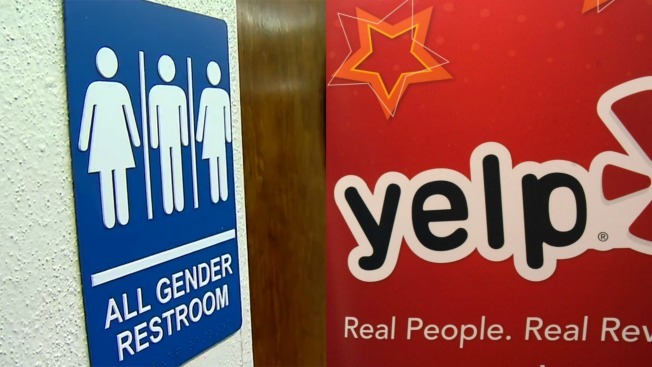 Yelp will now allow users to identify whether or not businesses have gender-neutral bathrooms. The effort to find gender-neutral bathrooms around town just became a little bit easier thanks to Yelp. The San Francisco-based company on Friday announced its new service that allows users to pinpoint whether or not a business houses gender-neutral facilities. Yelp classifies gender-neutral bathrooms as being "accessible to persons of any gender and are a locking, single-stall bathroom." The latest addition to Yelp's platform will be put together via public and business input. Yelp plans to ask users to identify locations that have gender-neutral bathrooms, and businesses will be allowed to specify whether or not they offer gender-neutral facilities. Prior to Friday's announcement, Yelp joined an amicus brief in support of Gavin Grimm, a transgender student in Virginia who was barred from using the boy's restroom as his school. "We believe it's important for the business community to speak up in support of equality for all," Yelp wrote in a statement.